Commercial solar panels have grown in popularity over the last decade, and with recent advancements in solar technology, it is now more practical and affordable than ever for businesses of all sizes to switch to solar power for their company. This is especially true for those in San Francisco, Fresno, Bakersfield, and other sunny parts of Southern and Central California, as we get to enjoy between 250 and 280 days of sunshine every year, which translates into an endless amount of free energy to power homes, businesses, and facilities. Is Commercial Solar Worth The Money? 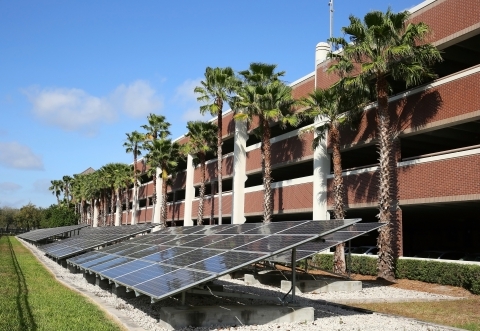 According to a marketplace study conducted by EnergySage in April of 2018, “The average commercial property owner paid $1,950 in monthly electricity bills before going solar. After their installation, their electricity bill was reduced to approximately $500 ­­– a 75% reduction.” Because of these savings, and the fact that the upfront cost of custom solar panel designs and installations are becoming more affordable due to recent technological advancements, commercial solar is quickly becoming the practical choice for many different industries. There are many other financial incentives for businesses to go solar in California, including a number of local solar rebates and tax credits, as well as the improved company reputation and greater consumer support that often comes with being a “green business” in the Golden State. The California Solar Initiative (CSI) offers another perk for home and business owners who switch to solar power, as the state government offers cash rebates based on the performance of their commercial solar system. Another major perk of investing in commercial solar panels is that business owners can take advantage of California’s solar net metering program. This allows business owners to receive bill credits for any extra solar power that their company does not use, which is returned to them at the retail rate from their utility company. This statewide program is available to all residents and businesses who have made the switch to solar, no matter what their industry or energy use looks like. Interested in learning more about our custom solar designs and solar panel installations for businesses throughout Central and Southern California? Contact Premier Renewables today for a project estimate, learn about our process here, and be sure to check out some of the commercial solar projects we’ve done in the past. Commercial solar panel designs and installations are our specialty, so you can count on us to create the perfect solar energy system for your business!